The 2001 Ferrari 550 Barchetta. THIS beautiful grand tourer that I am featuring today is the 2001 Ferrari 550 Barchetta, the convertible version of the 550 Maranello. It is equipped with a front-mounted 5.5-litre, 48 valve V12 engine which can produce up to 357 kilowatts (485 horsepower) at 7000rpm and 568 Newton metres of torque (419 pound-feet of torque) at 5000rpm, and the redline is at 7700rpm. Connected to the engine is a six-speed manual transmission, for the true enthusiasts, which then sends all the power to the rear wheels. Also, this particular model has a kerb weight of 1690 kilograms, which is the same as its coupe variant. This allows for a 0-100kmh launch time of 4.2 seconds, and it will keep accelerating until it reaches its top speed of 299kmh (186 miles per hour). Ferrari initially planned to produce 444 550 Barchettas, but increased the total production to 448 for the Japanese market. 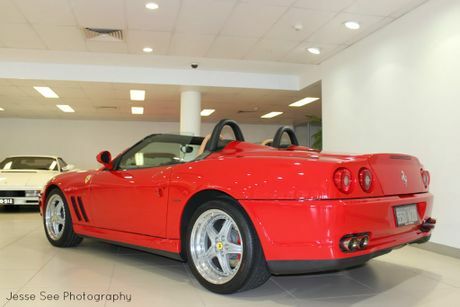 It is also the rarest Ferrari in Australia, with only four introduced. This model is coated in a stunning Rosso Corsa with a tan leather interior, and in my opinion this colour combo looks amazing. The original 550 Maranello was launched to the press at the Nurburgring circuit in 1996 to replace the outdated Ferrari F512M. Then, in 2000 at the Paris Auto Show, they introduced the 550 Barchetta to the world as an open-top version of the Maranello. Ferrari did supply a soft-top with the Barchetta but it was only intended for temporary use only and not above speeds exceeding 113kmh (70 miles per hour). Also, to put the roof on you have to do it by hand instead of doing it electronically, much like the Lamborghini Murcielago Roadster. Then, in 2002, Ferrari replaced the 550 with the 575M Maranello. Some of the updates included a renewed interior, substantial mechanical improvements, a larger and more powerful engine, a different weight distribution and they added the automated-manual F1 transmission. Some other features that this particular 550 Barchetta is equipped with includes variable intermittent wipers, 18-inch five-spoke alloy wheels wrapped in performance tyres, four-wheel independent suspension, four-wheel ABS as well as traction and stability control, electronic brake force distribution, an engine immobiliser, front and rear ventilated disc brakes, sport front seats, climate control and much more. 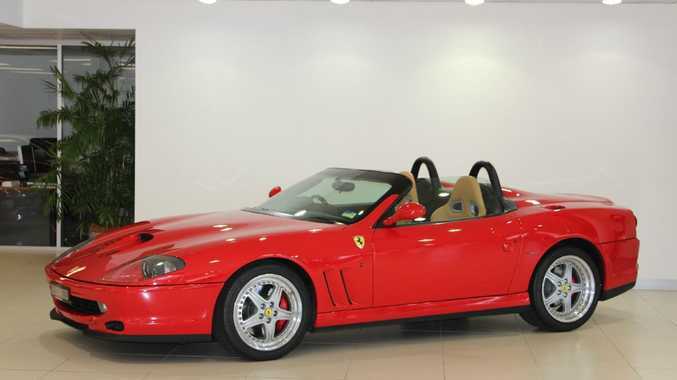 You can currently buy a 2001 Ferrari 550 Barchetta in Australia for about $190,000-$230,000. Is this Ferrari 458 Spider the world's best driver's car? 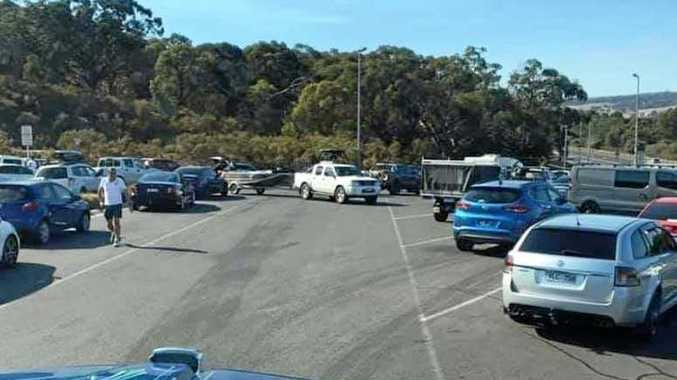 News Do you know the answer to this highway scenario?